iLLBliss dishes out another dope tune off his powerful album titled ‘Munachiso‘. On this one he features Tha Suspect and Jaywilz, and produced by Kezyklef. Falz the Bahd Guy returns with the sequel to his successful hit single “Karishika”. This one features M.I as well as ShowDemCamp. The track was produced by Sess while sound engineering was done by Marqai. Shortly after the release of his latest single, the fan favourite: “Adura”, K9 is back with yet another jam. This one is a certified club banger with a sweet twist. Enjoy. 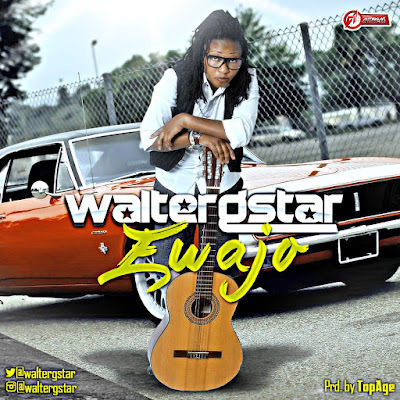 Nigeria stand up for this Baddest Naija Diva,One of the Best Female Naija Artist goes by the name (Walter Gstar) Rissing star took a short break to fixed out her self, and Now she's finally back as she Drop her Latest single Tittle (Ewajo prod by TopAge) which is Banging, Making Waves and Breaking Ground all over African. Warning: This song is infectious! Naija Ninjas artiste, Karma teams-up with YBNL boss – Olamide on his latest tune tilted ‘Islander‘, produced by Kukbeat. Brand new track from Rock town Records Superstar, Gil Joe. This one’s titled The Glory and is a glorious track where Gil shows his solemn side in a smooth self produced track. The Frank Edwards protege proves once again why he is one to watch out for. With top-notch production, melodies, rhymes, Gil Joe is the real tripple treat.